We have a new tool for you, a Twitter tool! 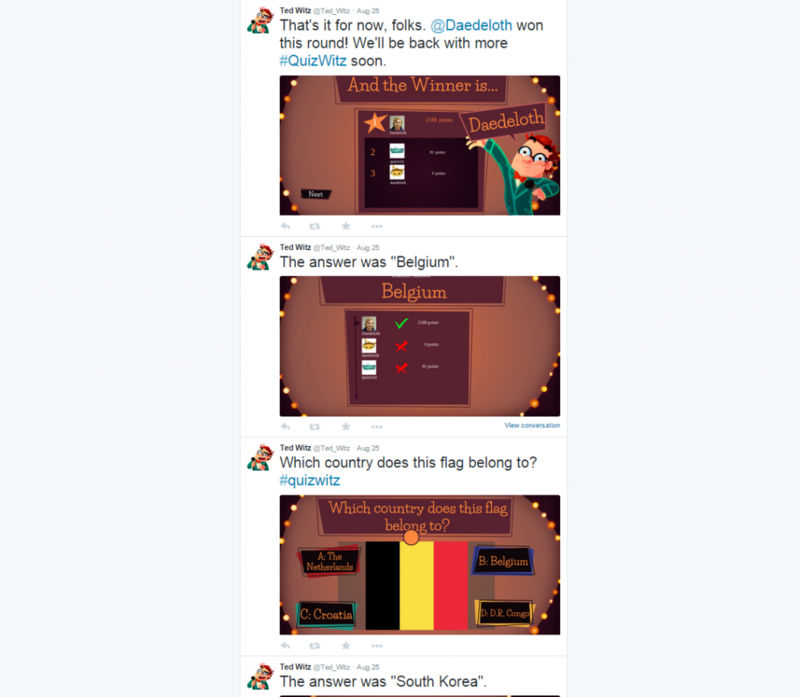 Yes, you can now play QuizWitz in the comfort of your own Twitter profile. How does it work, you ask? Well, you follow @Ted_Witz, wait for a game to start and answer by either typing the full answer in a reply, or by replying a, b, c or d.
Your answer will be registered by the bot and after a certain amount of time we choose, or you resuest, @Ted_Witz posts the results on Twitter. At the end of a round, the bot will pick a definite winner and who knows, Ted might praise you for your hard work! 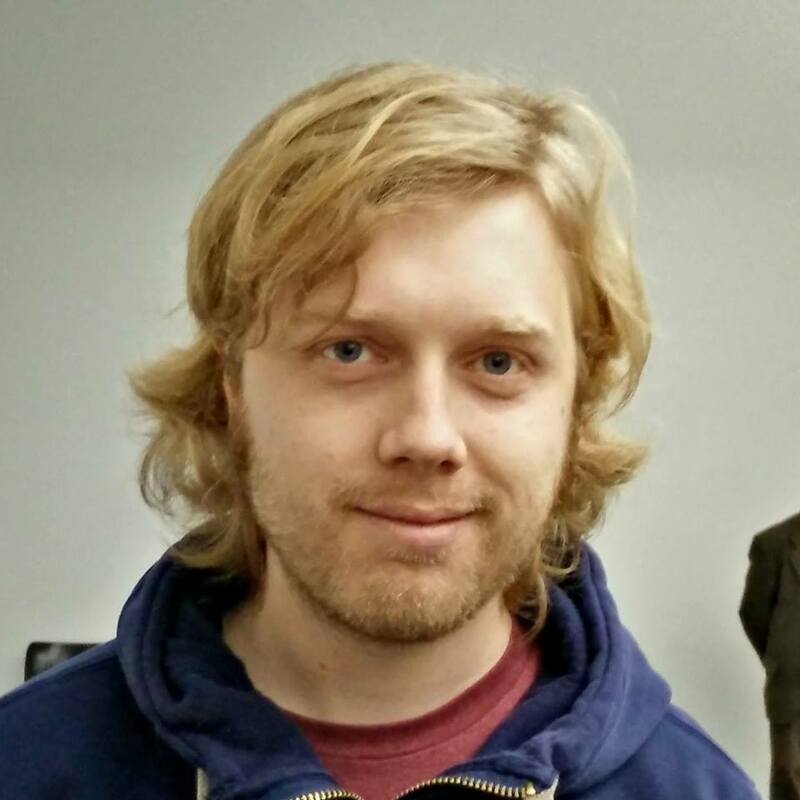 You’re the founder and lead developer at CatLab, that much we know. But how did you come up with the first idea for QuizWitz? It kind of started with me looking for a game that I could play with my friends. We had already played Scene It until we knew all questions, and even bought the extra questions pack. But after that it was over. There wasn’t any new content to discover. So how did you get into programming. Did you study it? Did you just start doing it one day? I think I wrote one of my first games in QBasic on a computer someone got rid of. I think I must have been about ten years old then. After high school I studied applied computer engineering in Ghent. I worked for a couple of years at different companies, and now I’m here. Do you follow any blogs or sites to keep up with the changes in your industry? Mostly The Next Web and Dutch site and forum Tweakers. As for games, I try to stay up to date with the Humble Bundles and I’m part of various Facebook groups about indie game development. Are there any people in the field that inspire you? 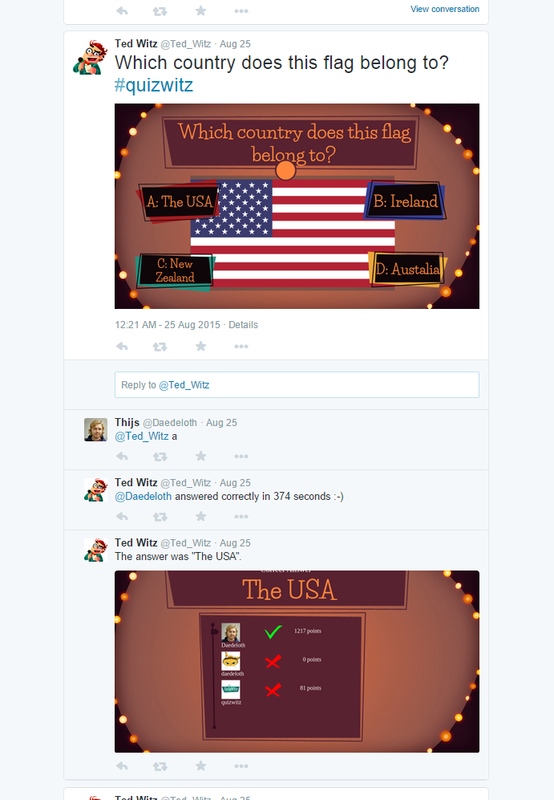 You created the bot which allows users to play QuizWitz on Twitter. Can you tell us how you developed this? The QuizWitz bots was written as a plugin for the QuizWitz game client. We’ve been working hard on making our software moddable, and this Twitter client is the perfect example of this. The Twitter bot will also be available as a standard module, including source code, so people will be able to set up their own QuizWitz bot or to expand upon its functionalities. Do you have any extra tips or tricks for the people reading this post? Keep going, I guess? Getting games to the market is no easy deal, but you should at least try, right? In this last question, two players that answered a previous question in the round, didn’t answer this particular question. The bot still considers them contestants and awards them 0 points. Neat, isn’t it? So, what do you think of our bot? Would you play against your Twitter friends? let us know in the whiskers box below, or immediately request a round on Twitter via @Ted_Witz!